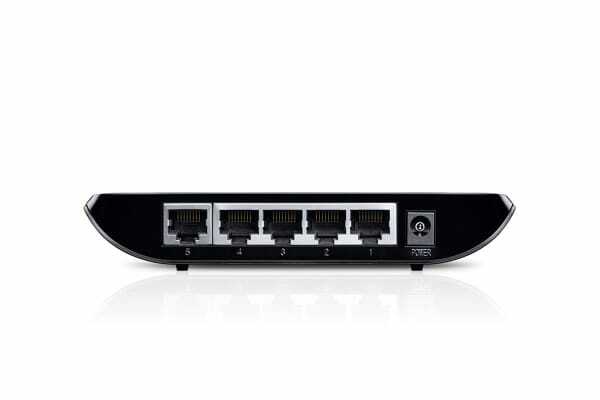 Instantly expand your home or office network using this powerful, five-port desktop gigabit switch. 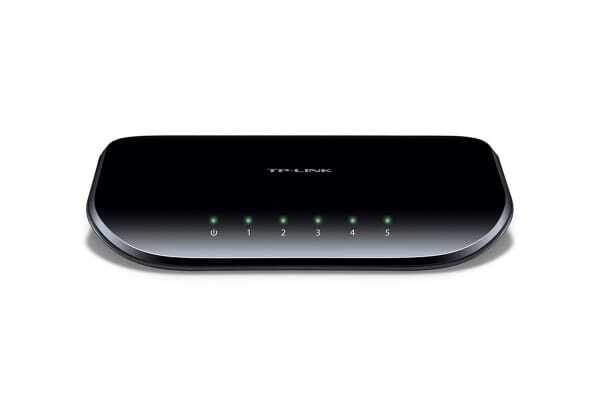 The TP-Link 5-port Desktop Gigabit Switch 5 10/100/1000M RJ45 ports provides an easy, efficient way to connect your wired network with Gigabit technology. Eliminating the need for crossover cables or Uplink ports, the five built-in RJ45 Ethernet ports support auto-MDI/MDIX and provide rapid Gigabit transfer speeds for easy file sharing. 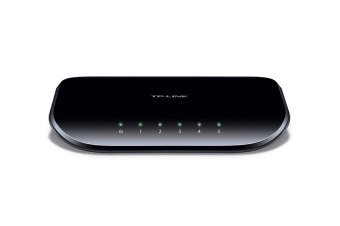 Processing data at a rate of up to 1000Mbps, this switch is an ideal choice for expanding your high performance wired network. 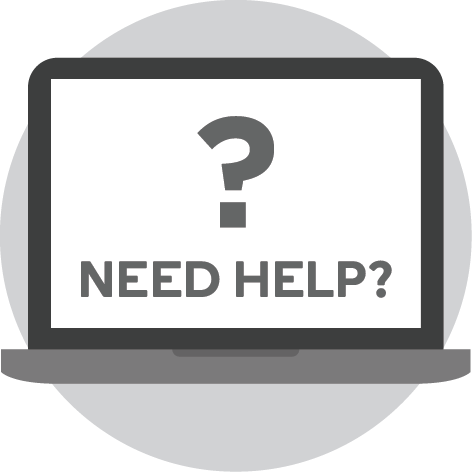 The automatic features of this Ethernet switch makes installation simple and hassle-free, with no additional configuration required to get each port up and running. Moreover, with innovative energy-efficient technology, this switch can save up to 85% of power consumption, making it an eco-friendly solution for your home or office network!